This chapter studies the process of forming an Islamic state. First, it provides an estimate of population size, employment opportunities and national income. Second, it presents the articles of the first constitution passed by all members of the new Islamic community and discusses the freedom and economic parity rights that it secured for all members, regardless of their religions, races and genders. Next, the property rights system is presented, including proprietorship, exchange rights and the distribution of natural wealth and income. 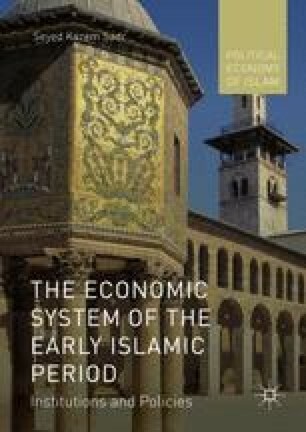 Finally, the chapter describes the policies and measures adopted by the Holy Prophet (SAAS) to develop the economy of the early Islamic state.